Wow — that movie explains a lot! And previous to this, I just thought the following movies kinda zipped ahead, and that you really had to read the books in order to know what was going on. Weeeeeelll now I know. There was one I had never seen before! How did that happen?!?!? You know though, it’s my sweetie who’s really into the whole Harry Potter thing. She’s read all the books. I’ve never read a single one. She’s gone to all the movies in the opening week, if not on the opening night. And I thought she had dragged me along to all of them… but apparently I missed this one, and never saw it on any of the occasions when she was watching it, right here at home, on DVD. Hmm. How did that happen? And especially considering this is the one movie in the series that employes the multiverse as a plot device. Fascinating. This is a fine time to tell you that I tease my sweetie by making up “perversions” of all the titles of these movies. She gets a kick out of it, actually. Maybe you will too. So for your enjoyment, here are all the Harry Potter titles as I have perverted them, and I leave it to you to unscramble them and put them in the right order. See if you can make sense of that! (And if you can, then you should also find it quite funny.) Indeed I have never until tonight seen “Harry Potter and the Prisoner of Azkaban” but I am really really glad I did. 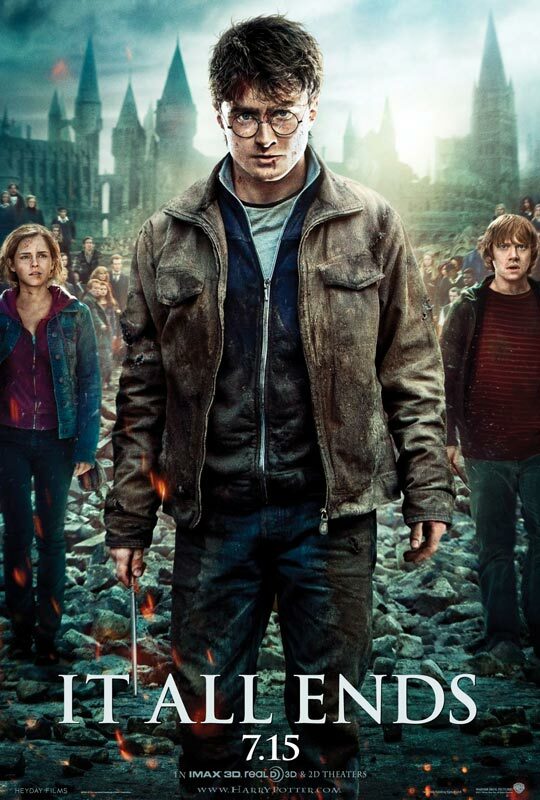 Because you see sweetie is insisting on doing this marathon thing, another Harry Potter movie every night until this coming Thursday at midnight when the very last of the series — “Harry Potter and the Deathly Hallows – Part 2” — hits the big screen here at our local theater. And I think we will both be there. So how’d you guys like it? I saw it honestly was so disappointed! Harry Potter just seemed like a punk. He let everyone die, when all he had to do was step up to the bad guy face to face. But maybe that’s just me.. Pretty spectacular effects… which always made me wonder: if wizards can put a protective force field around an entire school, why can’t they fix Harry’s myopia so he doesn’t have to wear those silly glasses? The ending scenes with the three kids seemed kinda lame to me, as if they were all breathing a sigh of relief – “Finally this series is all over and we can get on with our lives!” And that epilogue? Oh pleeze.